Take care of your eyes, and they’ll take care of you. And perhaps more importantly is your children’s vision. These eye care resources may help. The most common reason for getting an eye exam is because you’re having a problem with your vision. But did you know you should be getting your eyes examined at least yearly? Find out how easy it is to get your next Eye Exam. Are you tired of wearing glasses or contact lenses? Lasik Surgery may be the answer for you…but it’s not for everyone. Find out more about whether Lasik Surgery might work for you. There’s nothing you love more than your children. One of the best ways to do that is to make sure that their eyes are healthy. Poor eyesight is linked to poor study habits, poor grades, shyness, reduced athleticism, and certain types of misbehavior. Yes…all due to poor vision. 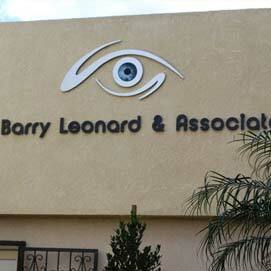 Learn more about the most friendly Children’s Optometrist office in the valley, Dr. Barry Leonard. You might be surprised at how easy it is to damage your eyes. It’s one of the most sensitive parts of your body exposed to the outside world. Protect your eyes. Learn about Common Eye Injuries here. While Diabetes is not an eye disease, it can affect your eyes and your vision in some serious ways. If you’ve been diagnosed with Diabetes, it’s time you had a checkup. Learn about Diabetes and Eye Care here. When you’re ready, call us or make an appointment online. Our friendly, helpful staff will work to fit your next eye exam into your busy schedule. Our office is at 14425 Chase Street, Panorama City, CA 91402, one block North of Roscoe and One block East of Van Nuys Blvd.